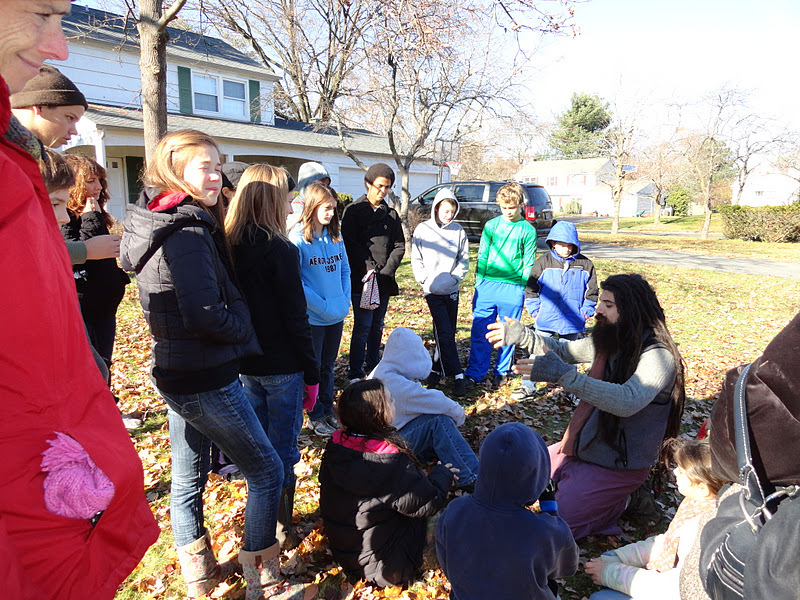 I was recently blessed with the opportunity to do a plant walk with a group of awesome homeschool kids and many of their wonderful parents from Green Valley Homeschool Co-Op. It was a great opportunty to show them all that even if you just leave your lawn as it is there are wonderful beneficial plants everywhere! Without even raking the leaves out of the way there were wild, fresh, nutritious, organic, and local edible foods and medicines sticking out of every place we could possibly look. Before you know it the kids were on a green scavenger hunt for natures treasures, kneeling on the earth and feeling the vibrant energy of everything that surrounds them-it’s so natural to them! 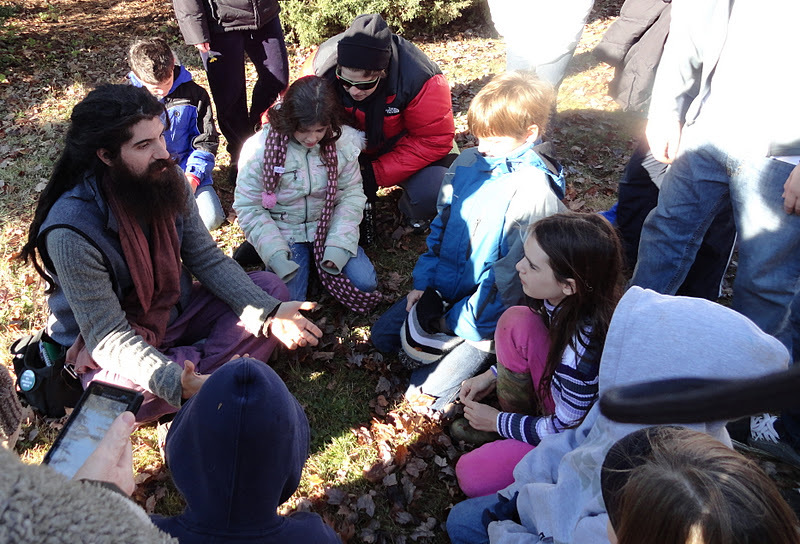 The vibe was great and we all had so much fun; observing and learning about Nature is such an amazing way to bridge deep connections and help children grow up more consciously aware of their spirit, the spirit of Nature, and how those 2 are actually 1! Thanks Denise, Janet, and the rest of the wonderful people I met that day! Looking forward to sharing many more connections in the future! Peace to all! Love to all! Light to all! This entry was posted in Blog, Interviews, Write Ups and Podcasts. Bookmark the permalink.